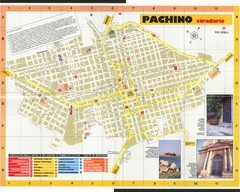 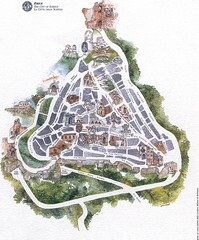 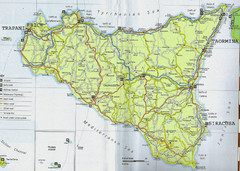 Tourist map of the town of Erice, Italy in Sicily. 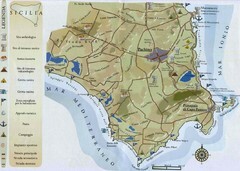 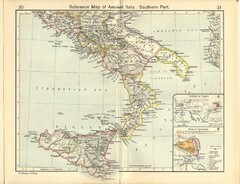 Reference Map of ancient Italy, southern part. 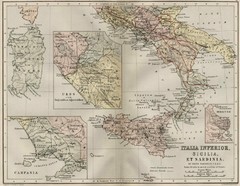 Shows insets of Naples and Syracuse.